I don't really feel much like blogging right now, but maybe it will help me to get some words down. Today seems to be a cursed day in my family. One year ago today, my Grandmother passed away on my mother's side of the family. Early this morning, we got a call that my Grandfather on my dad's side of the family had passed away during the night. I feel sad and sick to my stomach, and feel like I might burst into tears at any moment. It's hard to concentrate on anything but my emotions. 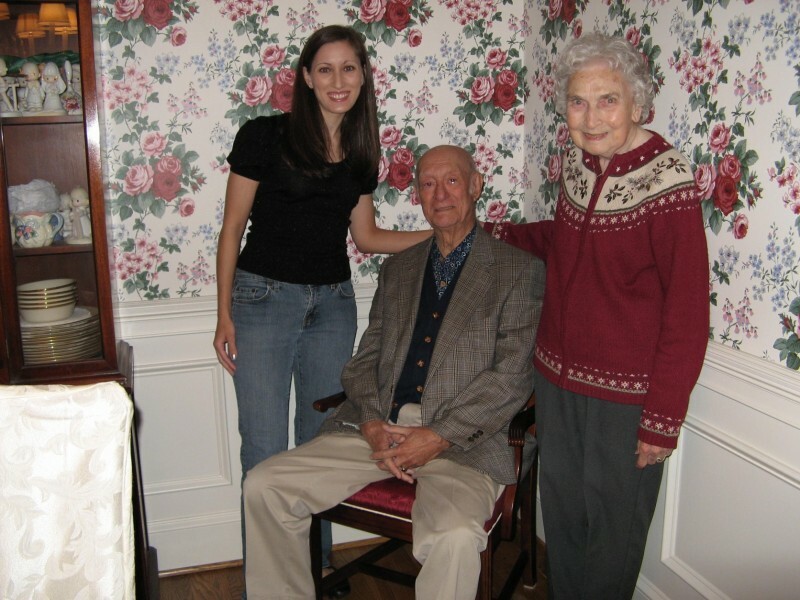 My Grandfather was a wonderful man and lived to be 90 years old. In fact, he just celebrated this birthday a few weeks back. 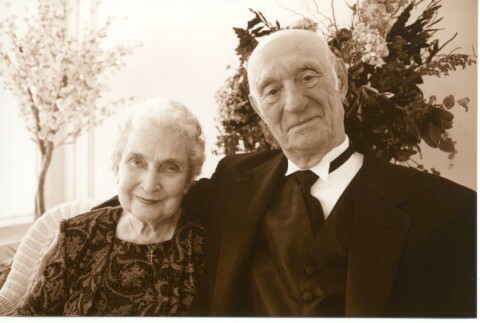 He had been planning a big celebration for the occasion, but then he broke his hip back in October and decided to put it off until March, when he and my Grandma would celebrate their 68th wedding anniversary, so they could have a big party. Now he will never see that day. My Grandfather provided for his family and loved his three children, Tony, Joan and my dad, Steve, so much. My husband called him the most "spry" senior he'd ever met... and he was. 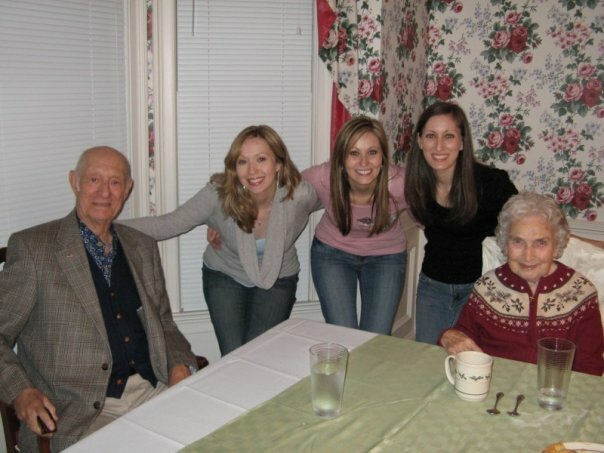 He loved talking politics -- he was VERY Republican -- and watching old movies and learning about our jobs and our lives. I really felt like he was proud of me when I earned my MBA, and I have some e-mails from him that I will treasure forever. He loved to sing and loved music in general. And he was so friendly! He would make friends no matter where he want, which was a quality I now so admire in him... Of course, when I was in 7th grade and he would start talking to strangers at the mall, I was so embarrassed. Isn't it funny how things change? My real regret is that I did not get to spend more time with him, as they lived a plane ride away, and we often saw them only once or twice a year. The last time I spoke to him was his birthday a few weeks ago. I had no idea that would be the last time. I wore black today because I felt so sad and depressed. The dress is from BCBGMaxAzria and the flats are from Tory Burch. It really was hard to smile for today's photo. My name is Annie and I am Anna Junes' Granny in Milwaukee. I read your blog every day. I guess I get a vicarious thrill reading about someone so young, beautiful and stylish. My deepest sympathy to you on this sad day. Thank you so much. You are so sweet to think of me and read my blog. I really appreciate your kind words.